Meer business in enterprise-architectuur - AG Connect - 31-08-2016. (2016). 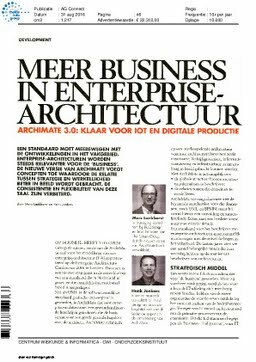 Meer business in enterprise-architectuur - AG Connect - 31-08-2016.